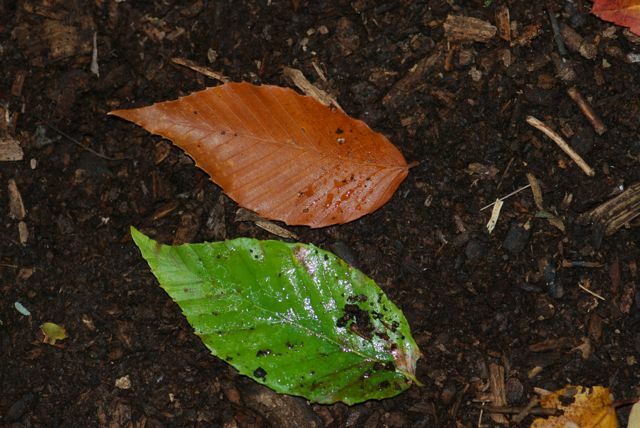 As our readers guessed, our mystery seeds from last week were from the American beech tree, Fagus grandifolia. It is just one of several common beech species. 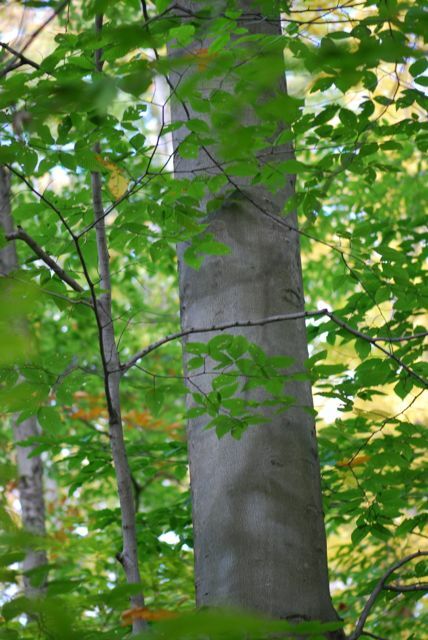 American beech grows throughout the forests of eastern North America. Beeches are known for their thin, smooth gray bark. Beech leaves are serrate or toothed on the edges, and have strong parallel veins. They turn golden yellow to coppery color in the fall. The "beechnuts" are covered with a prickly husk. There are usually two to three nuts per husk. 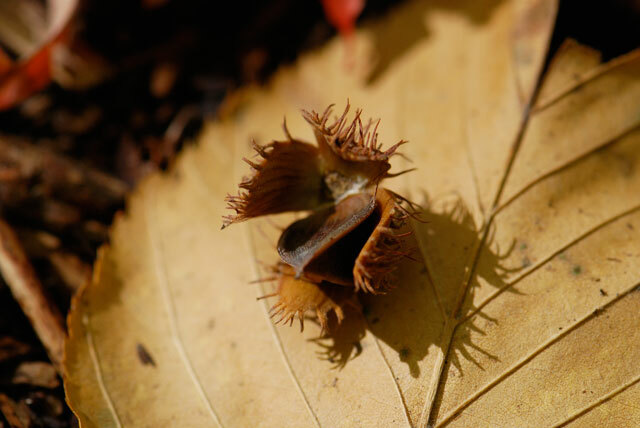 Beechnuts are favorite food of a number of different kinds of wildlife.